How Are Short Term Cash Advances Different from Other Loans? In the world of lending there are so many different options, and if you don’t have a degree in finance it can all be a little confusing. 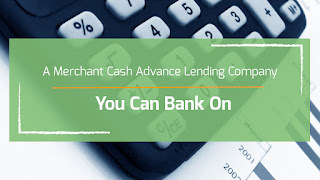 If you’re looking for quick cash, a small amount of cash, an affordable loan, and an approval process that doesn’t require great credit, you may be looking at getting cash advances. But, you’re not sure you understand what that really is, what makes these loans short term, and what makes a cash advance different from other loans. We’re here to answer all your questions, so you can make the best decision. 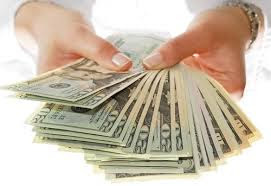 What really makes these short term cash advances different is the period of the loan. There are some other distinctions too, but this is the big one. Most loans, like bank loans and mortgages, car loans, and other similar loans, are long-term. That means you take out the cash and don’t have to repay it in full for weeks, months, or even years. 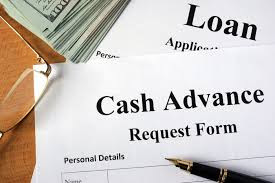 With cash advances that come with short terms, you are expected to pay the loan back in full in a week or two. That keeps you out of debt over the long term. The reason it is possible to repay these loans so quickly is that they are smaller amounts. Unlike other types of loans, cash advances are small. You might only borrow $200 or $300, for instance. This is a great way to borrow if you only need a little bit of money because it prevents you from staying in debt longer than you need to. You borrow just the cash you need to cover an immediate expense, and then you are out of debt again. You hardly have time to get into a sticky financial situation with a loan like this. Not only do cash advances like these keep you out of long-term debt and ensure that you only borrow what you need, they also make borrowing more affordable. If you thought you could never afford a loan, or you saw the interest rate on a cash advance and thought it would cost you a fortune, think again. This is a loan that nearly any employed adult can afford. If you earn a regular income, you can afford this loan. With the smaller amounts of cash and the short-term, the interest paid on the loan in the end is really reasonable. If you need to borrow just a couple hundred dollars, you likely need it in a hurry. 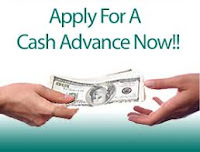 In addition to all the other ways a short term cash advance is different from traditional loans, they are fast. You can apply now, get an answer in minutes, have a real loan today, and have your cash in hand tomorrow before you eat breakfast. The differences between cash advances and other loans are important. Use them to make a smart choice about how you borrow. 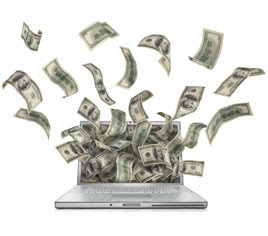 Why Would You Use an Online Cash Advance? There are so many good reasons to take advantage of an online cash advance that it would be impossible to list them all here. Hopefully these great reasons why you would choose this for your next source of cash are enough to convince you to get online and apply today. Convenience is everything for today’s busy workers. Most people who are struggling with money have a job or two, hours that are full time or more, and a family that relies on them. What you need is not a hassle and a time-consuming process to get a small loan; you need a convenient online cash advance. You can apply online through the website, or you can apply through a mobile app on your phone or tablet. It couldn’t be easier to access these loans. Apply from home, from an office, from the library, from your car, or from the grocery store if that’s when you have a few minutes. Applying is convenient and quick, but if it takes you hours to learn if you’re going to be approved, it still takes hours out of your day to come up with a money solution. 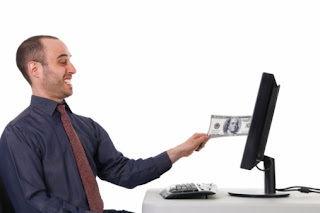 You don’t have to worry about that with an online cash advance. Here you can get approved by a great lender in 90 seconds or less. The process of approval is simple, so all the lender has to do is take a look at your application, make a quick application, and say yes or no. And, maybe best of all, most lenders approve most of the applications sent there way for these online cash advances. Even if you have poor credit, you stand a great chance of getting approved. There is no minimum credit requirement, and in fact, most lenders will not even check your credit score with one of the reporting agencies. 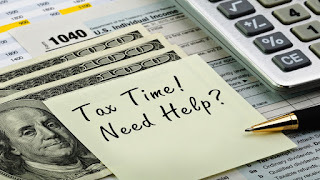 Take just a few minutes to provide your income and job information, a few other personal details, and you can be pretty sure you’ll get approved for a quick online cash advance. Not all cash advances are the same, so if you want or need to get money really quickly, you need this online cash advance. You’ll apply in minutes, get approved in minutes, and have an official loan within an hour or two. And then, your lender will make a quick and immediate ACH transfer of cash to your bank. By the next morning, if it’s a business day, your bank should make that cash available to you. This makes it possible to use the money for what you really need, your pressing financial concerns, like bills, rent, or gas for your car. 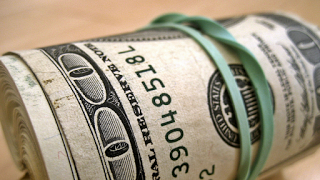 Are these enough reasons to choose an online cash advance? Find out more by applying now. Summertime means new prospects and new chances often mean new fees up front! A personal loan can put you at ease when trying to afford unexpected expenses or upgrades that come with your new opportunities. What’s even better, you don’t have to bother with perplexing customary financial institutions or credit card companies to get the outcomes you want. Merely submit your information online – you can fill it out using any device from a computer to a tablet or even a phone. – you don’t even have to leave your living room to apply for a personal loan online through one of our knowledgeable lenders! If bills are stacking up and so is the anxiety, use a personal loan to escape cutoffs, late fees, or penalties. Personal Loans Online Could Be The Answer To Your Problems! If your traditional bank won’t approve you for a personal loan, think about getting a personal loan through one of our over 50 trusted lenders. Our lenders approve many borrowers that customary banks do not, and we do all the hard work of finding lenders who focus on personal loans online for people of all credit backgrounds and scores – free of charge! You don’t even have to leave the house to submit your information for cash in your account sometimes within one day. Our process is easy and convenient and provides you with the cash that you need and the options you want. As long as you’re a citizen who is 18 or over, with a bank account, and a job, you could definitely qualify for a personal loan from one of our many lenders. If you’ve been denied for a loan or a credit card in the past, or a comparable personal loan from your bank, consider a personal loan from one of our team of qualified lenders. 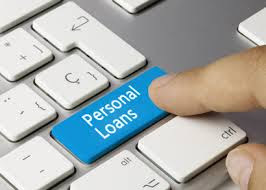 Personal loans are perfect for customers with bad credit or no credit because there is no minimum credit requirement! As long as you meet our requirements, there is never a credit requirement for a personal loan through one of our lenders. It’s simple to get overwhelmed with bills and other financial responsibilities any time of year and adding to savings can be even more difficult. Sometimes it’s okay to allow ourselves some assistance and a personal loan is an excellent way to do that! Enjoy a device upgrade or costly toy without the wait when you submit your information online for a personal loan now. The money is deposited directly into your checking or savings account, so it’s entirely up to you how you spend your funds. Whether you’ve been dreaming about a much-needed trip or repair or even a big project around the house, a personal loan can help! Stop letting your credit score and a tight budget keep you from enjoying the summer. Submit your information for a personal loan now and get the money you need as soon as tomorrow. Our many lenders are available any time of the day or night to help you get the funds you need to enjoy your life again and stop stressing so much about upcoming bills and unexpected expenses. Submit your information today and stop worrying about your financial needs for a while. With good merit during these times, you should be cautious that small personal loans, you can retrieve entirely online, won’t be secure. We ensure your information stays protected using industry leading security with our small personal loans, whether you submit your information using our app or online. These are stringently protected and trustworthy small personal loans online. To get you the funds you need safely we use reliable encryption software. Loans aren’t impervious just because they come from a customary bank. These days big traditional banks are increasingly becoming targets for hackers. Authentic, reliable, and experienced lenders work in a varied array of settings, including online and offer products and services including secure small personal loans. 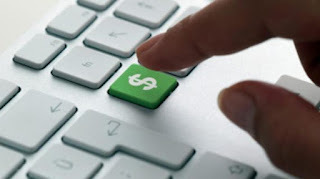 The loans offered by our team of lenders are offered by affiliates that we have confirmed and evaluated to be among the best in the lending business. When you fill out your information for our lender provided small personal loans you get free admission to reliable lenders who will then compete for your loan business. You get your choice of only the top, secure lenders available and you don’t have to make a trip across town to receive their services. Submitting your information for small personal loans means you get to put an end to having to go to a traditional bank, or even talk to a lender in person. Grab your preferred device and fill out some very limited information, and you will be connected to an experienced lender. A lot of services are offered online nowadays and fortunately so is applying for a loan. Our protection begins with industry leading encryption software, making it unlikely hackers could get your valuable information. Once your loan is finalized, we safely dispose of your information so your personal data isn’t setting around waiting to get stolen. Finally, we work with trusted lenders who provide added security procedures of their own. We only refer your small personal loans information to your lender, never anyone outside parties. We know you have better things to do than wait in line, fill out piles of paperwork, or worry about the safety of your small personal loan information. We have further security and are paperless and mobile for your necessities. As long as you have access to a smart phone or computer, you can fill out your information for small personal loans from any location at any time. Finally, A Place To Get Fast Online Small Personal Loans! Not only can you access small personal loans from any device but you can have assurance that they are highly secure. We are supreme in speed and convenience when borrowing cash with small personal loans. You don’t have to borrow from loved ones anymore. You need money now, and the quickest, easiest, and most secure way to get it is with our lender provided small personal loans. We provide access to these loans online, providing you with the quickest loan you can get. You don’t even need to turn on your computer to apply. Simply use your phone and submit your information in no time. It takes minutes to finish and you could get approved today by one of our experienced lenders. A solitary banking institution, could make millions of dollars every year from charging its customers unnecessary fees. Contemplate all the fees that add up including insufficient funds fees, service fees, and other absurd fees that are often added and it makes sense for many to want to seek out other opportunities. Unfortunately, many individuals who could benefit from other options are in a weak position because of bad credit. This leaves many Americans in a tough situation with insufficient or minimal choices. That was until our inventive installment loans made their way onto the lending forefront. Installment loans from one of our team of trusted lenders can help you get cash deposited into your checking or savings account as soon as today, without risking your possessions or your self-respect. Don’t let traditional banks take advantage of your financial bind and provide you with a loan that is insufficient. Our team of experienced lenders are professionals, many of whom emphasize helping people, with bad credit or no credit at all, get financing and get approved for easy installment loans. Our lenders help many borrowers that customary banks may not approve and provide choices that many banks no longer offer. Say goodbye to the bank and get an installment loan in no time. If you’re familiar with waiting for your paycheck to make any significant purchases, a financial emergency or even a brief crisis can wreak havoc on your finances. When repair bills, household equipment malfunctions, or any type of unexpected expense arise, an easy installment loan makes it simple to get the bills paid and allows you time to pay back the loan. You can get an installment loan from one of our valued lenders any time day or night by submitting your information today. The only requirements for a loan from our team of lenders are that you’re a citizen 18 or older and have a job and a bank account. Once approved for an online installment loan one of our trusted lenders could deposit your funds directly allowing the lending process to be as quick and easy as possible. 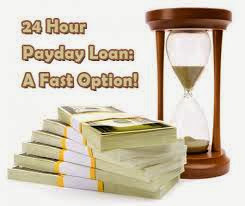 You can make any day payday with an installment loan from one of our experienced lenders. Online installment loans are a very simple option for almost any borrower – even if you thought your choices were limited. 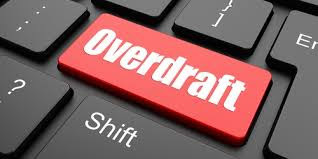 Not only will a loan from one of our valued lenders help stop you from stressing, you could have funds deposited in your account as soon as tomorrow and you’ll be treated with respect and consideration. Don’t waste any more time with customary banks just to be turned down because you don’t have a perfect credit score. 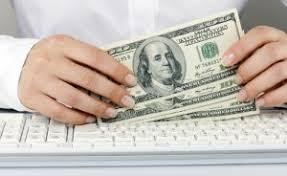 Our lenders installment loans are easier and faster than ever before to submit your information. You can use any device even your phone to complete the entire loan process. You could submit your information for an installment loan any time without even leaving your living room. Don’t spend any more time stressing out about your financial crisis, use an installment loan from one of our over 50 lenders to take care your financial worry and focus on what’s important in life! Every year it seems like lending institutions and lenders enact more and more rules and regulations that are harsher for borrowers and for individuals looking to take care of financial responsibilities with personal loans. If you’re hunting for a fast way to get some cash, the bank should be your last choice. Customary banks are rapidly becoming obsolete and more and more serve the interest of business instead of individuals. Each trip to the bank is a minimum of half an hour and that’s not incorporating the time spent looking up trivial information they request, or even waiting for their approval of your loan. The loan process could take weeks and or even more at a traditional lending institution. Our lenders offer easy personal loans that take a few short minutes to apply for and you get an instant quote. You could have money in your bank account as soon as tomorrow. Most customers are able to have their money deposited within hours of filling out a personal loan application with our lenders. Not only are you evading the long lines of people and extended process at your bank, you can get approved for a personal loan from one of our experienced lenders, without even leaving your house. That’s right– our updated process is available entirely online, and you can complete it using any device. A personal loan is the easiest, fastest loan choice available when it comes to fast funds online. Personal Loans Have Helped Thousands! Customary banks are infamous for concealing information from borrowers and making the lending process too tough to manage. This is why they discourage borrowers from becoming well-informed about other lending options like searching the internet to find the top loan product they can find. When you get a personal loan from one of First Liberty Loan’s valued lenders, we don’t keep you from looking at all of your choices! As a matter of fact, we do the hard work of comparing options for you. We work with a group of over 50 knowledgeable lenders who are available 24 hours a day to provide you with the support you need to complete your personal loan. When fill out your information for a personal loan our lenders instantly compete for your business. The lender who offers the top rate triumphs, and in the process so do our customers! Fill out your information today using a fast and simple online application. Personal loans are something that many lending institutions offer, but we help many that don’t get approved by those institutions. We’ve upgraded the loan and repayment process, so it’s easier than ever before for us to connect you to a lender that offers safe, quick personal loans to borrowers that would not be able to access other options. Don’t feel discouraged or powerless just because you’ve been turned down in the past. Our team of lenders aren’t simply helping you get cash now – but they help you get options. Personal loans don’t just help in the short term– they can help you in the future. Start repairing your financial crisis now by submitting your information today. The Christmas season provides a long list of new chores and unexpected expenses requiring cash fast and a Christmas loan online could help. Don’t have enough saved to meet the tasks, there’s nothing to stress about. Fill out your information online with a quick and easy online application process from our lenders using any device and get the funds you need as soon as tomorrow from a trusted lender. Use your phone, tablet, or laptop and let one of our trusted lenders compete for your loan and provide you with quality and convenience. 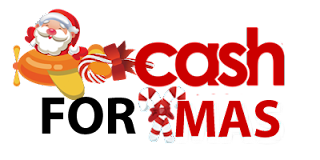 Let choices reign and get cash now with a Christmas loan online. Complete an online application in a few short minutes and a Christmas loan online from a qualified lender could help cover those holiday responsibilities. It seems like unexpected fees are hidden away everywhere nowadays. Rest assured you won’t get charged any hidden fees and know we don’t charge for our service. Let us assist you this season in getting a Christmas loan online with our free service that matches you with a lender that is experienced in meeting your financial needs. Get fast loan response and convenience with our lender provided instant quote for all your online Christmas loan needs. Fill out your information and in minutes one of our trusted lenders will offer you a Christmas loan online getting you the cash you need quicker than a customary bank. Our lenders help customers traditional banks may not approve and make the process reliable, simple, and fast. 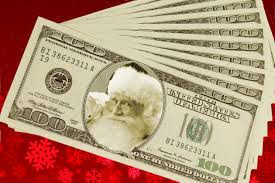 When nothing seems that easy these days get money through our lenders with a Christmas loan online. It’s very difficult to determine the quality of an online loan but sometimes you can tell. Our lenders are amazing because they make the online Christmas loan process quick, easy, and stress free. It’s critical in these times to choose who you interact with intelligently and make your money work for you. With a quick and simple online lending process, our qualified lenders offer the best Christmas loans online. Fill out your information today and get cash deposited directly into your checking or savings account in as little as a day. When you need cash fast, our lenders are experienced at making the process easy and fast. Filling out your information for our lenders Christmas loans online can be done using your any device, including your phone, and no collateral or credit is required. When the stress is piling up and something unforeseen happens let lender provided Christmas loans online help you keep a lid on your finances. Our lenders offer safer, simple, and speedy ways to get money in a hurry. These Christmas loans online are a simple way to save the holidays. Our affiliates don’t require credit, there is no collateral required and they never contact your employer for Christmas loans online. There is no need to drive across town because you can fill out your information using your phone in minutes. Get the cash you need quickly with a Christmas loan online and take care of those holiday bills before you get an unexpected fee. Online Holiday Loans Are Changing The Game This Year – Don’t Be Left Out! If your holiday money situation is getting you down, you’re not alone – and you’re not out of options! Our online holiday loans are so easy to qualify for – and you can get an instant approval without even leaving your couch. In fact, you can finish the entire application in less than five minutes using any computer, laptop, tablet, or even your smartphone! We partner with dedicated, experienced lenders who are available 24/7 to provide you with online holiday loans when you need them most. No matter how tight your budget is this year, you can count on online holiday loans to take some of the stress away. We can’t stop your aunt from micro-managing the sweet potato casserole, but we can help you get the cash you need to buy yourself a reward for dealing with her! This holiday season, an online holiday loan can make everything better. 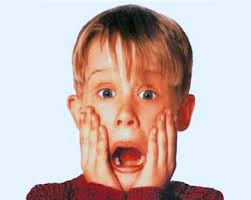 Holiday Expenses Ruining All Your Fun? Our Fantastic Online Holiday Loans Can Help! Are you tired of feeling bad about not getting the presents you want to get for everyone? Whether you’re trying to buy presents for your family, your spouse, or even a gift to yourself after a long year – it can be stressful to try and make ends meet AND find the cash to buy presents. Holiday travel to see family members is expensive – car upkeep and gasoline, pet sitters, hotels and meals can end up costing more than a normal person is able to afford! Add in all the missed work because of days like Thanksgiving, Christmas, Black Friday, and it’s a wonder anyone can afford to get presents at all! If you’re stressed out about the gifts you wanted to get, but couldn’t make the money work, use an online holiday loan to make ends meet. You can enjoy treating your family members to the presents they deserve, and treat yourself to the gift of a stress-free holiday season with an online holiday loan. You can say goodbye to cutting corners and feeling guilty in five minutes or less when you apply for an online holiday loan using our EASY application! Seriously – don’t let money add another layer of stress to your holidays – get an online holiday loan today. Most applicants get an instant approval, and one of our respected lenders will contact you immediately to answer any questions you may have and finalize the loan. After that, you’ll see the cash deposited directly into your bank account – many of our clients get their money in 24 hours or less. Because of the fantastic loan terms and wonderful customer service, the majority of our clients are repeat customers – meaning they’ve used an online holiday loan before, and it was so helpful, they came back to us for another one! It’s not worth it to try and make ends meet when you just don’t have enough money to do it. This Christmas, work smarter, not harder: get one of our online holiday loans and enjoy Christmas without money trouble. Every year, millions of borrowers are turned down for loans because of poor credit or no credit. This keeps customers from being able to pay overdue bills, buy groceries, or even make necessary repairs. If you’re one of the millions stressed with poor credit, you’re not alone and you have plenty of options! We work with a group of trusted lenders that offer safe internet loans, allowing you to take control of your finances. Fill out our short online application – and in a few short minutes you could have hundreds or thousands deposited into your checking or savings account as early as tomorrow. Apply now and see how our safe internet loans are simple to apply for and easy to get approved. Our experienced lenders even send each borrower an easy-to-understand payment schedule so you can make on time payments and even help your credit! When the bills won’t stop piling up and it seems like everything is going wrong at the same time, the options available to us don’t look all that abundant. Many loans request credit checks, collateral, and complicated verification, placing your cherished belongings and sometimes even your car or house or car at risk. Don’t be taken advantage of by a risky lending institution. Use a safe internet loan if you need money now. We never require a credit check and don’t request collateral at all. Our only requirements are that you are 18 or over, a citizen, with a job and a bank account to deposit funds into! There’s no reason to endanger your most valued possessions when you could use a safe internet loan to stop stressing and keep your finances and bills in order! Our application is available any time and you could get approved for hundreds or thousands by tomorrow. In less than 24 hours funds could be deposited directly into your checking or savings account. So don’t delay apply today for a safe internet loan! Our application is designed to be finished in minutes from any device including your mobile phone. A few minutes is all it takes to be approved for a safe internet loan! Once approved you will get funds deposited directly into your account and an easy-to-use payment schedule from one of our trusted lenders. Our team of lenders are experienced and admired for their approach to safe internet loans. These loans aren’t just a clever choice for people who poor credit and need money now – they’re also a great chance to start rebuilding your credit by making on-time payments. Any on-time payments made on our safe internet loans are reported to the credit bureaus and can increase your credit score! This makes it easier to get credit in the future and that means you won’t have to scrap to find cash at the last minute ever again. Take control your finances and your life with a safe internet loan from First Liberty Loans today. It only takes a few minutes and you could have cash available by tomorrow. Apply online with our easy application process and convenient website now. What is the most stressful thing about the holidays? Is it family obligations? Is it work parties? Is it trying to figure out what to get everyone for gifts? If you ask most Americans, the most stressful thing about this time of year is actually money. There never seems to be enough money to cover all the costs of the end of the year. With a standard loan you can get the cash you need for the holidays, but that can add to the stress when it comes time to repay. This year, try holiday installment loans instead for less stress. The number one concern most people have during the holidays is running out of money. You need to spend on so much at this time of year, from Halloween costumes and candy to Thanksgiving dinner and all those Christmas presents. And if you have to travel, that’s another huge expense. It’s smart to save up for the holidays, but not always realistic. Instead of worrying about not having enough, use holiday installment loans for extra cash that you can spend throughout the season. A lot of working people rely on payday loans, now and at other times of the year. These loans are really useful, but they have one drawback for the holidays: they have to be repaid in full on payday. 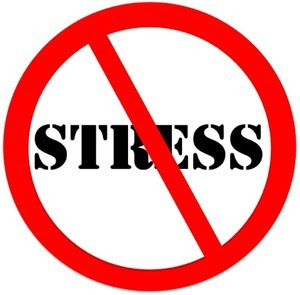 Most of the time that’s a good thing, but during the holidays that requirement can add extra stress to an already stressful time. 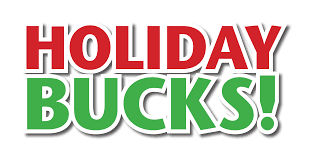 Instead of stressing over having enough to make repayment, use holiday installment loans. 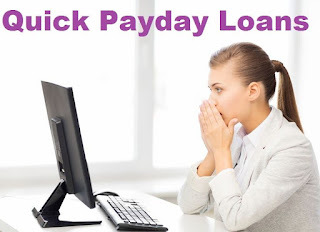 These loans are just like payday loans, just as easy to get, but the repayment is easier. You repay the loan in smaller installments, so you don’t have the added stress. Do you ever really enjoy this time of year? If you don’t, it’s likely that money is adding to your stress and making the holidays unbearable. If you actually had the cash you needed, and you didn’t have to worry about repayment, you could have fun this year. Here’s how you do it: just apply for holiday installment loans. Get the cash you need, put off full repayment until later, and enjoy the season. Applying for holiday installment loans is easy. It starts with an online application or an application through the mobile app. Complete it with some basic information about you and your income, and submit it to get free access to our holiday lender network. The right lender will be selected for you, will get you approved, and will send money right to your bank account. You’ll be given an installment repayment plan, so you can use the cash, and not sweat the details of paying back the loan. Enjoy the holidays and repay later. When the holidays roll around there are all kinds of obligations you may feel as if you have to fulfill, like spending time with family or getting gifts for everyone you know. This can make the season more stressful than fun, but it doesn’t have to be that way. In fact, it should be the opposite. You worked hard all year, you provided for your family, and you sometimes even worked multiple jobs. So why shouldn’t you have a little fun at the end of the year? A holiday loan online can help you make it happen and you shouldn’t feel bad about spending this cash on something fun. You have a right to do whatever you want with your money, so if you borrow you shouldn’t have to feel guilty or ashamed about how you spend it. You can feel especially good about using a holiday loan online because it is a loan that truly is affordable for working people like you. This is a loan that comes in small amounts and has a short term so that you don’t pay through the nose on interest. You can enjoy this loan and the cash that comes with it and spend it however you want without feeling like you are being wasteful. There is another reason not to feel guilty over celebrating with your holiday loan online cash: these loans won’t leave you in deep debt for months. A lot of loans are big loans that you either can’t afford or you can only afford by making small payments over a long period of time. You don’t need more debt, but you could use the extra cash. With these smaller, short-term loans you can get the cash without the big debt, and you can enjoy holidays with your friends and family with zero financial guilt. Most of all, you should never feel guilty about how you spend your loan cash because you deserve to have fun and to enjoy yourself. To make ends meet you work hard, probably at more than one job, so why shouldn’t you have a little fun? With a holiday loan online you can treat yourself to a nice gift, to a new outfit to impress at holiday parties, or even to an upgraded used car or another big expense that will make your life easier. You work hard, so you’ve earned this treat and you should enjoy it. A holiday loan online isn’t just for you either. You can treat your family as well. Enjoy a new television, a trip all together, or a great outing while the kids are on vacation from school. While you work hard all year to provide, they’re working hard too. For yourself and for your family you all deserve to have fun. Use the holiday loan online cash that you can get so easily this season to be good to yourself and the ones you love. Everyone needs money sometimes, but some of us need it faster than others. When you have that school fee you didn’t realize was due tomorrow or the rent is due and you can’t pay it because of a medical emergency, you need cash faster than fast. You may have heard of an quick cash loan and thought it sounded far too good to be true, that there must be a catch. Let us explain what this type of loan really is and how it can actually help you in those desperate situations. One of the main things that makes getting a loan so time-consuming is that you typically have to spend hours just finishing the paperwork. And then there’s the time you have to spend tracking down other pieces of official paperwork, faxing documents to the lender or the banker, and the time sitting at the bank waiting on other people to help you. With a quick cash loan in 1 hour you only have to fill out one, short application. It’s so easy and simple that you can do it online or even with a mobile app. So, there’s not even any time spent driving anywhere to get your loan. Speed up the process even more by getting a fast approval. Other lenders, banks in particular, will make you wait hours, days, and even weeks to get an answer on your application. 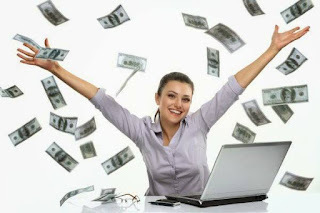 With an quick cash loan in 1 hour you will wait a guaranteed 90 seconds or less. In that amount of time your wait will be over and you will know what your answer is. In most cases that answer will be a yes because our lenders have very high approval rates. The entire process that it takes to get a loan, from the blank application to the official, signed loan document, takes less than 60 minutes with a quick cash loan in 1 hour. Compare this to the hours to days it takes to get an official loan from another lender. Before the hour is up, your lender will present you with an online document that you can e-sign and that will make it official. An quick cash loan in 1 hour means that you get an official loan in an hour or less. And what that really means, more importantly, is that you get the cash you need by the next morning in most cases. If the next day is a business day, you’ll have that cash in your bank account so you can pay the bills, avoid the late fees, and avoid all the other consequences of not having enough cash. This is the fastest loan and the most convenient loan you will ever experience. We have all hit a financial crisis between paychecks and that can be taxing. At Green Leaf Loan Group, we are devoted to helping borrowers make ends meet between pay periods with quick and easy, installment loans online. 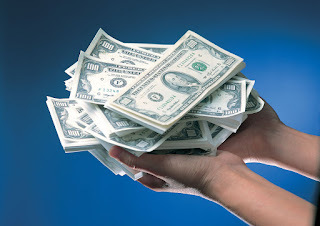 Our installment loans are a quick solution to your direct financial need. We offer no collateral and no credit check installment loans. Let us help you make it to your next paycheck with a stress-free online installment loan. We do all of the difficult tasks so you don't have to and we tailor our installment loan process to meet the needs of our customers. We have a long list of online installment loan lender. Apply using our very short and easy installment loan application and let us display what we can offer you and how we can meet your needs. We’ll connect you to a trusted lender that will work with your financial situation and is ready to help day and night. Green Leaf installment loans are offered through our many reliable installment lenders for borrowers that have good credit, bad credit, or even no credit at all. It is unimportant to our installment loan lenders if you have a low credit score. If you need more time and options to pay your loan than you can get through customary lenders or other lending institutions a Green Leaf installment loan may be the option for you. Installment loans don’t require you to pay them back in one large payment but rather in smaller payments using an easy-to-follow payment schedule provided by the lender you prefer. 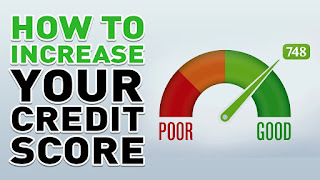 If you are uneasy about your credit score, know our lenders don't perform credit checks as part of the loan approval process and they report on time payments back to the major credit bureaus to help your credit score. 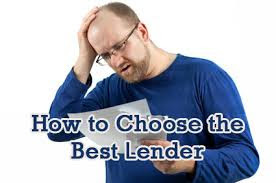 Merely pick the lender that is right for your needs and you'll be guided to the installment loan lenders website where you can complete a quick and simple application. In a matter of hours or even minutes, you could have the cash you need deposited directly into your account to take care of your financial needs. With all of the holidays and family that are sure to visit fall and winter seem to get more expensive every year. For the average consumer on a budget, holidays can be a stressful time. It’s difficult to stay up with your finances and buy food and gifts or take a trip. Millions of borrowers have turned to methods other than traditional lenders for monetary aid. 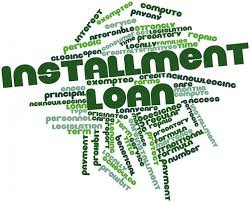 For most, the installment loan is an alluring financial resolution due to the flexibility and payment possibilities of the loan. 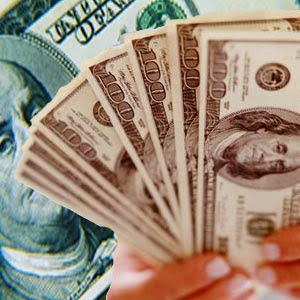 Like many loan products, you can get installment loans quickly and easily online. If you have access to the Internet you can apply for an installment loan online using any device from a computer to your smart phone. 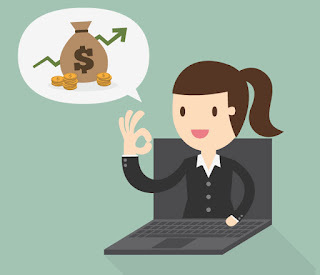 The simplicity of online loans, combined with the speed of approval and distribution makes online installment loans highly alluring and very efficient in reducing borrowers financial worry.